Coaching sessions are conducted at Seaton High School either on the field or in the Indoor Training Centre. The Indoor Centre is equipped with Iron Mike and Jugs pitching machines. Each batting tunnel has video cameras positioned on the side and behind pitchers/hitters which provide immediate feedback to the player or a more detailed recorded analysis. 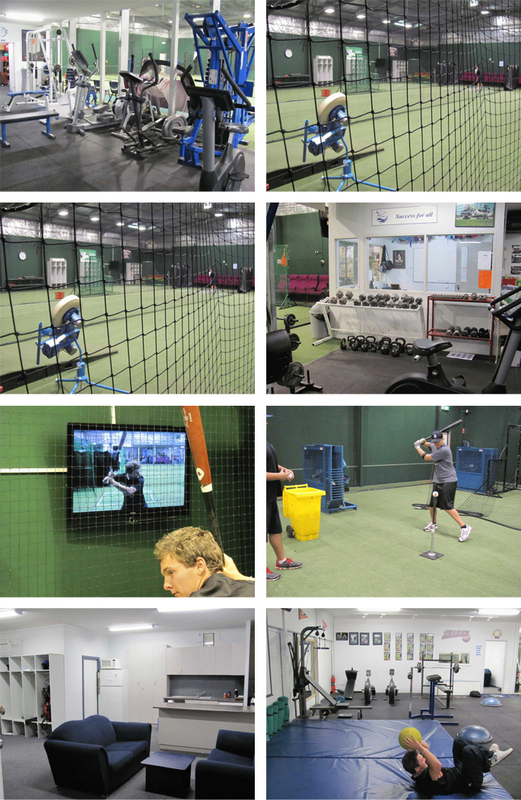 The gym and workout area provides an excellent venue to also work on the conditioning and strength of our clients. All equipment is supplied. To make an enquiry, please click the button below.